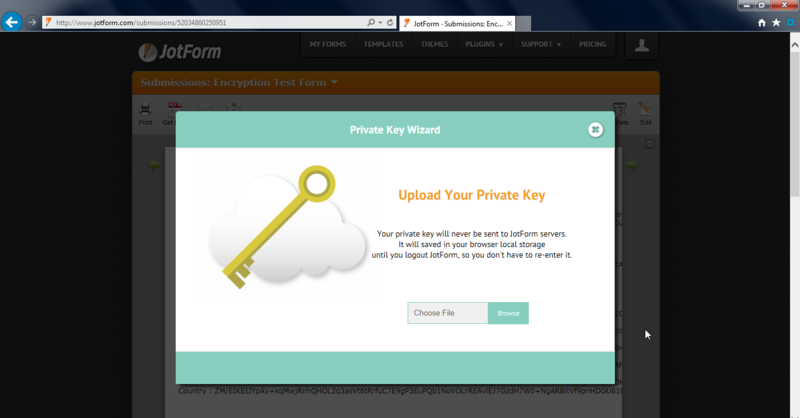 On Internet Explorer their is no option to upload the encryption key. 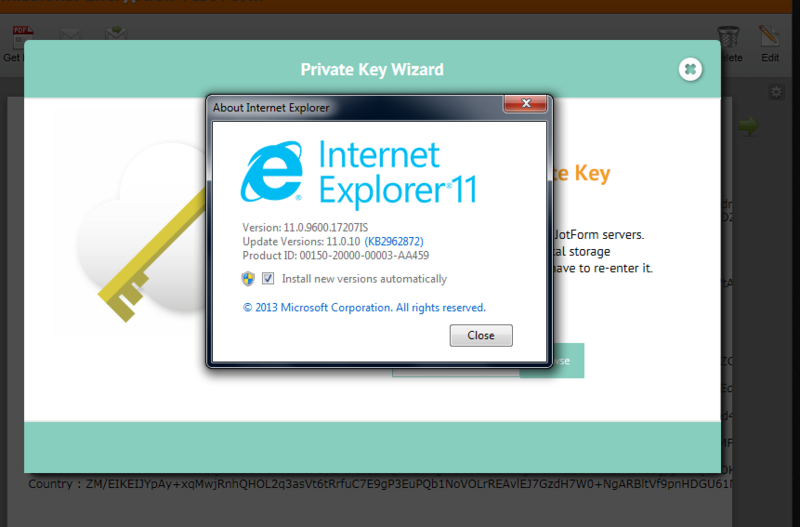 The other issue is that on Internet Explorer their is no option to upload the key? May we know what version of Internet Explorer you are using? For the meantime, you might need to use a different web browser if that's the case. You might also want to check if your IE or an antivirus is blocking some scripts in our end, just to make sure. I swear this wasn't working yesterday - but I have guessed this is the case. No worries, these things do happen. Probably a hiccup on the server or in the browser we're using. However, please do contact us if you experienced the problem again.